The SEA Games football competition kicks off tomorrow with the opening game between the Philippines and Vietnam. As the luck of the draw would have it, the Philippines has been bracketed with what is now being referred to as the “Group of Hope.” Also in the group with the two countries are Timor Leste, Myanmar, Laos and Brunei. The other group is something of a “Group of Death,” with the traditional powerhouses of the region bundled together: Malaysia, Singapore, Thailand, Indonesia and Cambodia. All matches will be played in Jakarta. The Philippine underwent training in Japan where it played against local sides before flying out to Jakarta via Singapore. The country’s highest ever finish in the SEA Games was fourth, achieved when the country hosted the even in 1991. For the benefit of football fans, I have prepared pen-pix of the players who will see action in the games. The original line-up released and published liberally by local media ang football blogs did not include Filipino-German Manny Ott. However, recent announcements on Twitter seem to indicate that Ott is currently on a plane to Jakarta. Exactly who drops out to accommodate him, that I am not privy to. Of Filipino-Germany parentage, Mueller plays club football for MSV Duisburg in the second division of the German Bundesliga. He has already seen senior action, having played in all of the country’s 3 games in the recent Long Teng Cup in Kaoshiung, Chinese-Taipei. Cebuano Paolo Pascual plays his club football for Global FC of the United Football League (UFL). 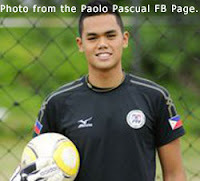 Pascual played outfield as a schoolboy but was asked to play in goal because he was tall for his age. He has also represented the country at U-19 level and will probably be Mueller’s understudy in the SEA Games. Defender Jacques Van Bossche is of Filipino-Belgian parentage and plays club football for Sporting Lokeren in the Belgian League. He is also currently studying to gain an Electrical Engineering degree from Ghent University. Jose “OJ” Porteria is a 16-year old prospect from Fairfax, Virginia. 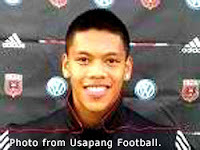 The Filipino-American plays his football with the academy team of NASL side DC United. Striker OJ Clariño was a standout of the University of Sto. Tomas varsity team that made it to the final of the 2011 UAAP season, where his team lost to the University of the Philippines. 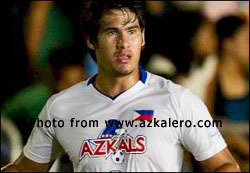 Matthew Hartmann plays his club football for Loyola Agilas of the UFL. He has already seen action for the senior team, having suited up in the Long Teng Cup last month for Coach Michael Weiss. Hartmann is comfortable both in defence or midfield. Unconfirmed reports say Hartmann will captain the SEA Games team. 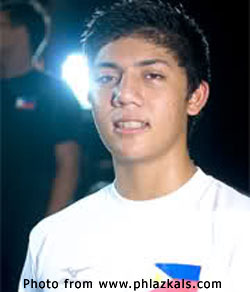 Joshua Beloya was part of the Ceres-Negros squad that won the 2011 Philippine Football Federation Suzuki Cup Under-23 National Championship. Beloya suited up for Pachanga FC in the recent Smart Club Championships. 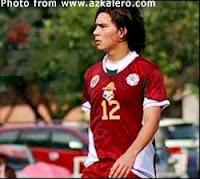 Ilonggo Jake Morallo was also part of the Ceres-Negros squad that won the 2011 Philippine Football Federation Suzuki Cup Under-23 National Championship. 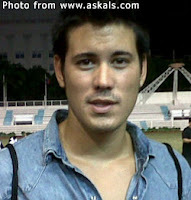 Morallo was given playing time by Michael Weiss during the recent IcanServe Invitational Series at the Rizal Memorial. He is currently part of the Loyola Meralco Sparks in the UFL Cup. Carlos Alberto de Murga is of Filipino-Spanish parentage and has already suited up for the senior squad in the ICanServe Series as well as the Long Teng Cup. 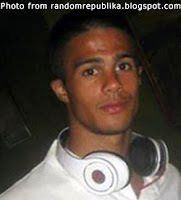 De Murga plays for Spanish Division III side Racing Club Portuense. He is comfortable playing at rightback or in midfield. 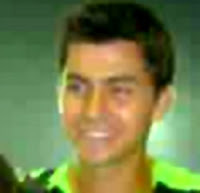 Global FC’s leftback used to play for the University of Sto. Tomas in the UAAP during his collegiate football playing days. He was with the senior squad in the 2010 Suzuki Cup in Hanoi but spent the time on the bench. Filipino-German John Patrick Hinrichsen can play on either flank in midfield or even as a wingback. He plays for the German side SC Eintracht Oberusel, which plays at the regional level of the German League. He was involved with the senior team’s preparations for the World Cup Qualifiers against Kuwait when the squad trained in Germany but was not involved in the two legs of the tie. 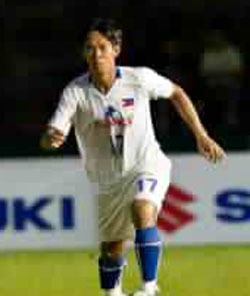 Filipino-Dutch Jason de Jong was one of the heroes of the successful 2010 Suzuki Cup campaign. De Jong plays in the holding midfielder role and is known to be a feisty character who does not shy away from a physical confrontation. Manny Ott was preferred to de Jong during the World Cup run but regained his place in the senior side during recent Long Teng Cup. 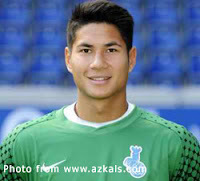 Mark Drinkuth is of Filipino-German parentage and plays for FC Agon Düsseldorf in the lower rungs of the German League. 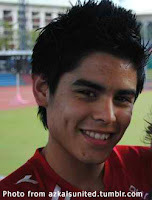 He was part of the senior squad that played in the 2010 Suzuki Cup. Jeffrey Christiaens is a leftsided midfielder who was one of the revelations of the senior squad in the recent Long Teng Cup. 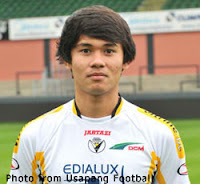 Christiaens is of Filipino-Belgian parentage and plays for the Belgian club FC Torhout. Teenager Christopher Camcam keeps goal for Kaya Cignal FC in the United Football League Cup. A product of the football program of Southridge School, he has also tried to improve his skills by enrolling in a training program given by FC Barcelona. The second Hartmann in the SEA Games squad, Mark is a tall and burly player who nevertheless has an exquisite touch. Very technical when the ball is on the ground, Hartmann also has a great range of passing that enables him to pick out teammates to create goalscoring chances. 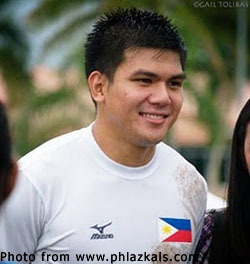 He was part of the senior squad in the recent Long Teng Cup. 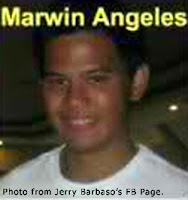 Marwin Angeles is of Filipino-Italian parentage and has a football playing twin brother named Marvin. Marwin and his twin both play club football for Laos FC in the United Football League. 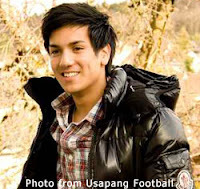 Defender Raymark Fernandez plays club football for Diliman Victory Liner FC in the United Football League. He has been involved in the fringes of the senior team recently, including the participation in the Long Teng Cup as well as the friendlies played against Singapore and Nepal. Neckson Leonora saw action with the senior side during the ICanServe as well as the recent Long Teng Cup. Leonora plays club football for Pachanga FC in the United Football League. The young defender has good pace and does not mind the physical side of the game. 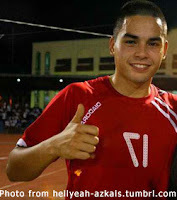 Gerardo “Jinggoy” Valmayor III is the top striker of UFL club Diliman Victory Liner FC. Valmayor played varsity football for UAAP champion University of the Philippines.